The sudden death of our beloved Tim came as a shock and hit many in the St. George’s and St. Davids community for six. For those who routinely congregate at St. George Esso Station in the morning before work, Tim’s departure already leaves a hollow spot. You would think he owned the establishment [for at least a hour and a half each day] even telling the owners what do do and what not to do. Patrons were greeted daily and instruction given to how best to pour coffee and how leave the work counter tidy were among his orders. This and much more in a St. David’s vernacular which was uniquely expressive. 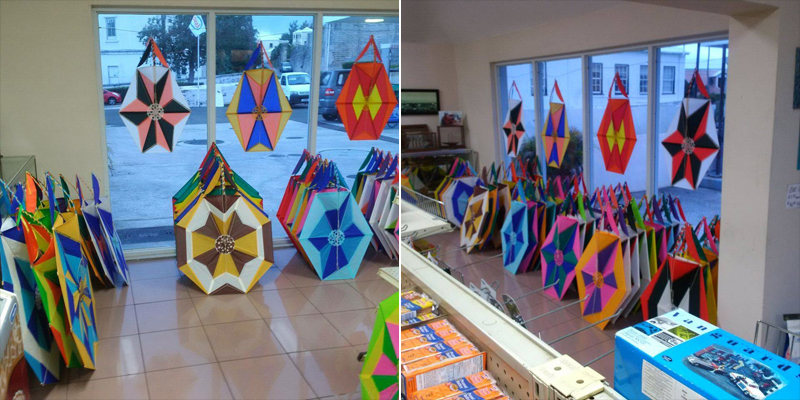 Tim was already prepared for Good Friday, having completed his kites for sale that are featured at St. George Esso Station. We will miss his stories about his annual trip to Barbados – when in his absence we talked about him. Truth be told we missed his ‘salt of the earth approach when he took that trip but now must adjust to life without the one and only Tim Fox. I am certain that there are many more Tim Fox stories waiting to be told – from St. Peter’s Church Family, Barbados Traveling Friends, St. George’s Esso, Dockside Fishing Crew, St. Davids Community and others – affectionately funny. Rest in Peace Tim Fox as we continue to ‘Mix & Move’ as we get our morning coffee.